CHANDLER, AZ—Bryan Lambke was born in 1981 with Down syndrome, a disability that affects children in one of every 800-1,000 births. 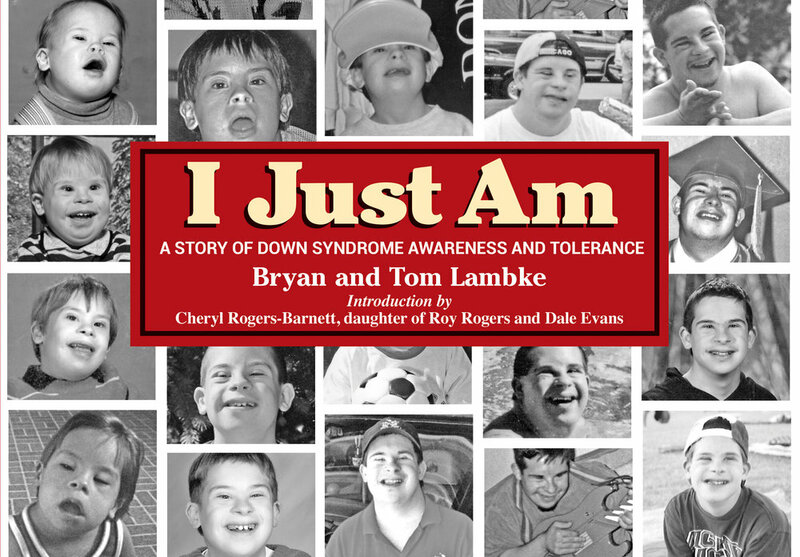 Bryan, with the help of his father Tom, has just authored I Just Am, a book that is both charming and disarming, one that offers an insight into his world. An avid sports enthusiast, Bryan was just eight years old when he first competed in the track and field events of the Illinois Special Olympics. Fourteen years later, he stood atop the winner's platform at the 2003 International Special Olympics in Dublin, Ireland. He is drawn to the competition, camaraderie, and acceptance he finds in the Special Olympics. Elsewhere throughout his life, however, Bryan has had to endure the stares and whispers of those insensitive to his feelings. And he wants you to know that he does have feelings. I Just Am is a collection of photos of Bryan as he's grown up accompanied by Bryan's observations and questions that provide a window into his world. “I have a disability,” says Bryan. “It is not my fault. I just am.” The book shows readers that Bryan has the same emotions, likes and dislikes, and aspirations as everyone else. "Isn't that normal?" he asks. Then he points out that he doesn't steal, put on an act, or try to deceive. Would that we were all that normal. Bryan, now 23 years old, holds down two jobs, loves swimming, playing basketball, and bowling, has two girlfriends, and loves to sing and dance. Most of all, he wants to be accepted, and that's why he and his dad wrote I Just Am: A Story of Down Syndrome Awareness & Tolerance. In addition to Bryan's story, the book includes some insightful information about Down syndrome that is sure to debunk some old myths. The book also features a foreword by Shannon D. R. Ringenbach, Ph.D., from Arizona State University's Department of Kinesiology, and a special introduction by Cheryl Rogers-Barnett, daughter of Roy Rogers and Dale Evans, whose sister had Down syndrome.